And what those of us who aren't reality stars can learn from their financial approach. The CBS reality series “Big Brother” has a slogan: Expect the unexpected. Show winners Dan Gheesling, Ian Terry and Derrick Levasseur lived that motto firsthand. After spending months in a house filled with television cameras and strangers, the three each won a season of the show and walked away with the $500,000 grand prize. Here’s how the show — and half a million dollars — changed each of their lives in unexpected ways. “Big Brother” brings strangers into a house together for the summer. Secluded from the outside world, contestants compete in physical and mental challenges and vote out their fellow houseguests until one winner is left standing. Viewers follow along at home as the competitions and social interactions are broadcast on TV and online. Players who start the season as unknowns often become household names. The veteran: Gheesling appeared on the show not once, but twice: He won first place in season 10, in 2008, and was the runner-up four years later in season 14. Nowadays, the 34-year-old Dearborn, Michigan, native works in real estate. “It’s a cool thing I’ll be able to tell my kids, but really the financial impact of winning, when I won and what I did with the money, changed my life forever,” Gheesling says. The superfan: Terry, a self-described superfan, was 21 years old when he won season 14 in 2012. “I remember I popped out of the chair when I saw my name on the last vote because it literally felt as if this giant weight had been lifted off my shoulders,” Terry says of the finale night. He was in college at the time and says student loans were his financial motivation for going on the show. Now 27, Terry is a physics teacher and lives in Houston, Texas. 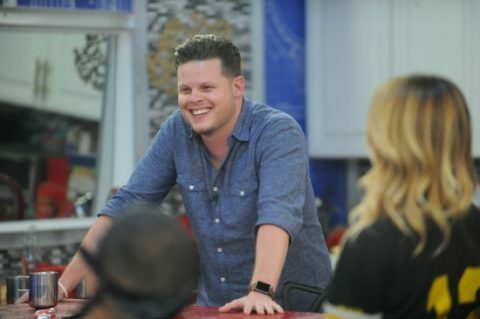 The detective: Levasseur, a former police officer, won season 16 in 2014 after applying for the show in hopes of improving his family’s financial well-being. Levasseur says he entered the house with 21 Twitter followers. He left with about 120,000 followers. The veteran: Instead of going on a huge shopping spree, Gheesling made relatively modest post-winning purchases: a TV and a PlayStation 3. He also invested and later put a down payment on a condo. No fancy new wheels for him: The former teacher says he gets a kick out of driving the same car for years to see how many miles he can put on it. “Money is a game, and it’s either you get played by the game, or you find a way to play the game,” Gheesling says. The superfan: Terry knew exactly what he wanted to put his money toward; the first thing he did was pay off more than $80,000 in student loans and college tuition. He allowed himself one fun purchase, a car, and later bought a home as well. He invested or saved the rest of his winnings. The detective: Levasseur’s spending was strategic. He bought a Jeep Cherokee as a thank-you to his wife for supporting him while he was on the show. His other big discretionary purchase was a hot tub. The rest he put toward financial goals like paying off credit card debt, investing, and building a college fund for his children. Several years removed from their time on the show, these winners have made their winnings last. So how’d they do it? We asked them to share the financial lessons they took with them from the “Big Brother” house. The veteran: After winning his prize money, Gheesling read up on personal finance and quickly discovered the value of educating himself about money and investing. The superfan: Prior to the show, Terry says he never really had money. Now he views everything in life as an investment, so before he makes a big decision, he weighs the potential costs and benefits. He currently has his sights set on graduate school. The detective: Levasseur has concluded that money comes down to needs and wants. And as tempting as the nicer things in life can be, he tries to anticipate the long-term effects of a momentary want. Not many people will have a chance to play “Big Brother." But you don’t have to win $500,000, or any amount of money, to follow these winners’ practical advice: Invest in the future, live within your means and put needs before wants. If you do ever happen to end up on the show, Terry has another piece of advice for you.